Just in case that someone may not know, we do have a official Twitter account for our website. We use that to share some interesting information on promotions/credit cards/rewards/travel/investment etc. 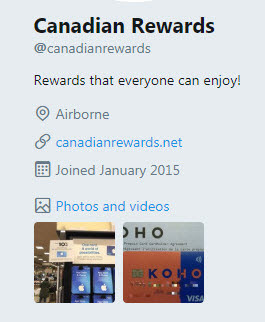 Please follow us on Twitter: https://twitter.com/canadianrewards, and let's enjoy the rewards together! Thanks.